When Tesoro brought out the GRAM Spectrum keyboard last year, it was a change from the norm and brought with it low-profile, doubleshot-injected keycaps with their so-called Agile switches that aimed to provide an experience similar to the Cherry MX Speed (Silver) switches. The keyboard was a success for them in terms of sales, but perhaps their experiment with low profile keycaps and their Agile switches did not do as well after all because the subsequent Excalibur SE Spectrum went back to the drawing board with standard-travel keys, and they now have optical switches as well, which were manufactured in a collaboration with Gateron. I liked the Excalibur SE Spectrum for the money, but their specific onboard controls for functionality and lighting did not age well, and a software driver would have been very handy even then. 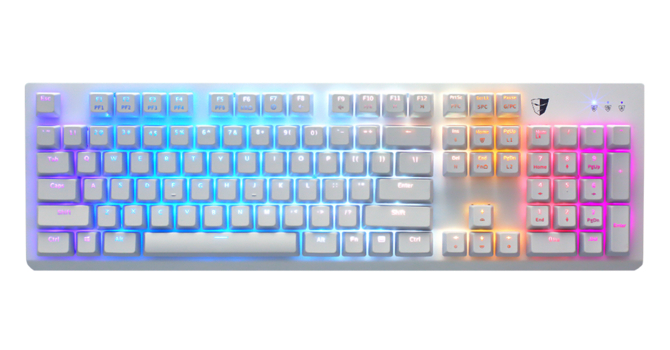 Tesoro decided to make a new addition to their GRAM series of keyboards instead, and today, we take a look at the new GRAM SE Spectrum. Thanks again to Tesoro for providing a review sample. Gone are the low profile keycaps, but much is kept yet from the original GRAM Spectrum. We still have the two color options of black or white, with the white option pictured above given the sample I received. In addition, it comes in one of the two Tesoro-branded optical switch options as well - the linear red and clicky blue. Given this is 2017, it obviously also comes with full 16.8 M RGB backlighting, and there is a software driver to help with this. If you prefer onboard controls, fret not as this keeps that feature too. Let us dig deeper now with a look at the specifications below. 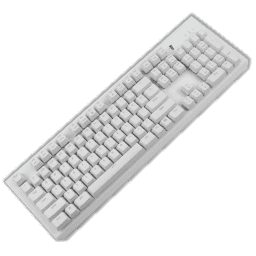 104-key full-size form factor in the US ANSI layout; other language support depending on your region. 1.19 kg / 2.62 lbs.